WILLEMSTAD – The President of Parliament Humphrey Davelaar will not interrupt the Christmas recess to deal with a vote of no confidence against the new government. The emergency meeting called by the opposition will not take place. This motion will be treated at the next public meeting in mid-January, said Davelaar. 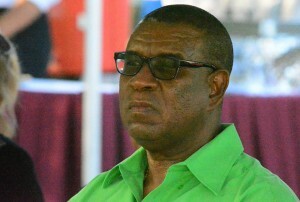 The opposition filed a motion but did not receive any reaction from the President of Parliament and for that reason, they also requested the Governor of Curaçao to intervene. But Davelaar says that the government parties still have 11 seats, even if not all Members of Parliament have been sworn in.